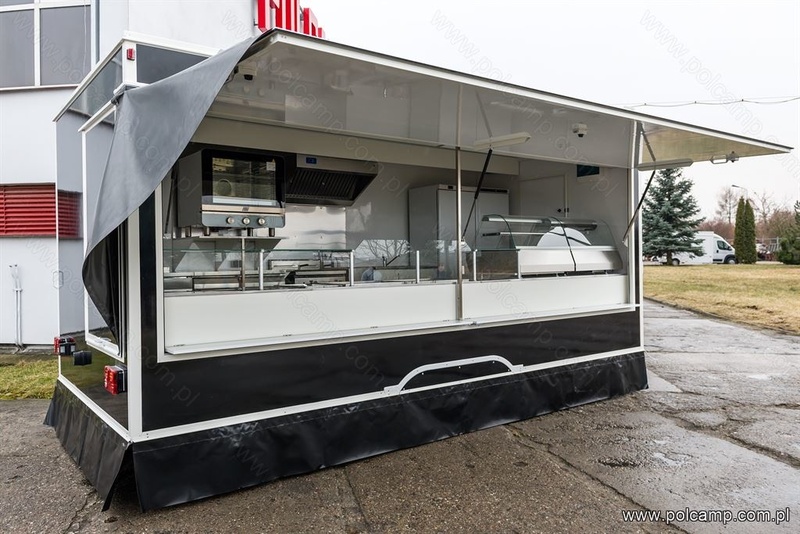 We offer a wide range of trailers, vans/trucks and kiosks for different types of commercial activities – sale of bread and pastries, vegetables and fruits, and many more. 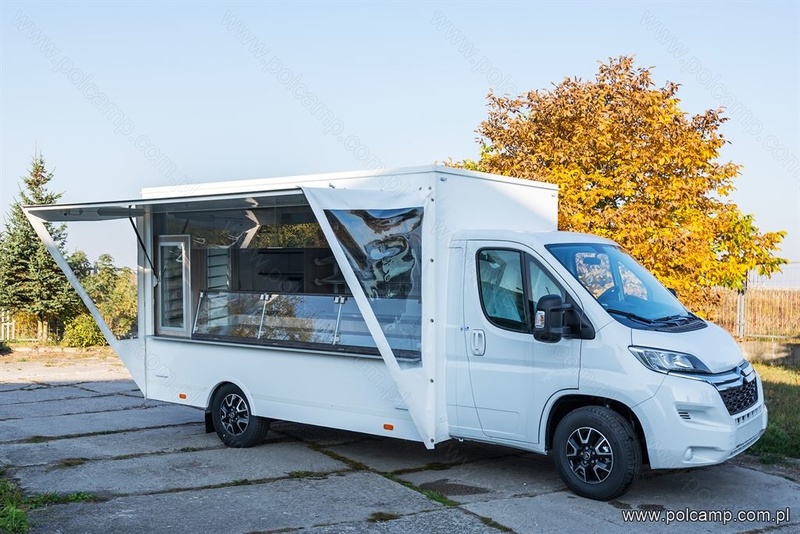 All of our products are custom made in accordance to our customers needs and wishes – for example automatically opening flaps, independent power supply (power generator), toilet, heating, different types of furnishing and interior layout. All of the materials that we use have certificates allowing contact with food. 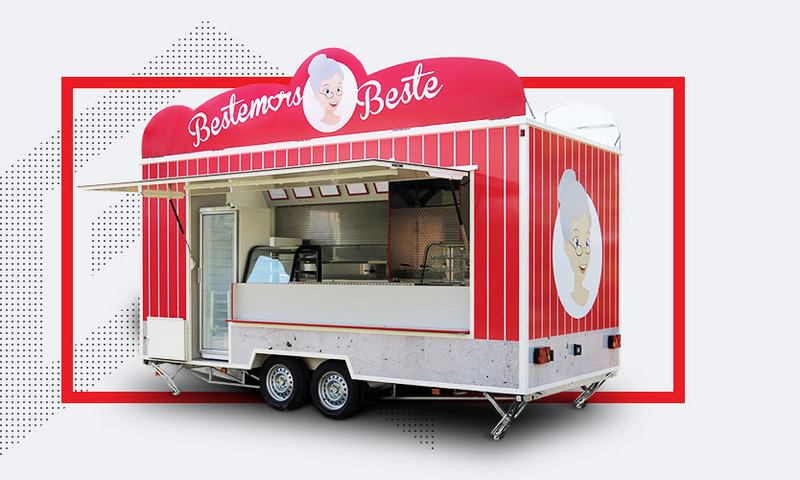 We produce trailers, van/trucks and kiosks for different types of catering and street food vending. Especially grill, chicken rotisserie, pizza and others fast-foods, ice cream and coffee shops, etc. All of the materials that we use have certificates allowing contact with food. Established in 1985, POLCAMP operates solely on Polish capital and is present on local and foreign markets. 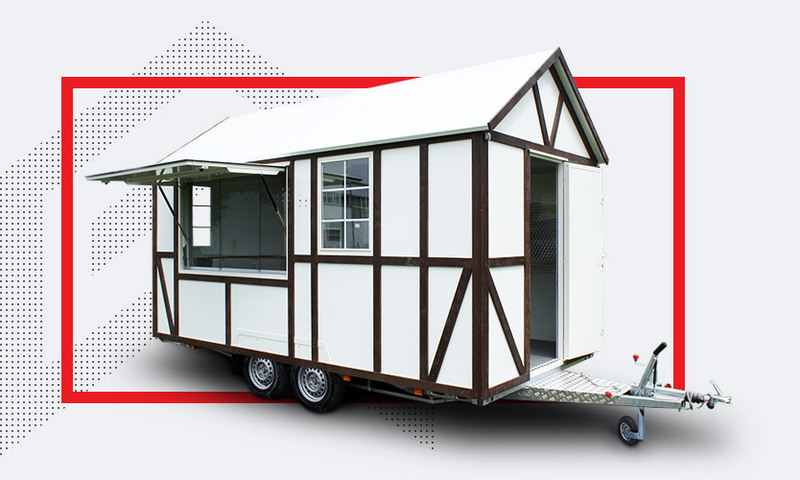 Over the 30 years, the company has specialized in production of tailored trailers and vehicle bodies, as well as created some standard solutions of their own. 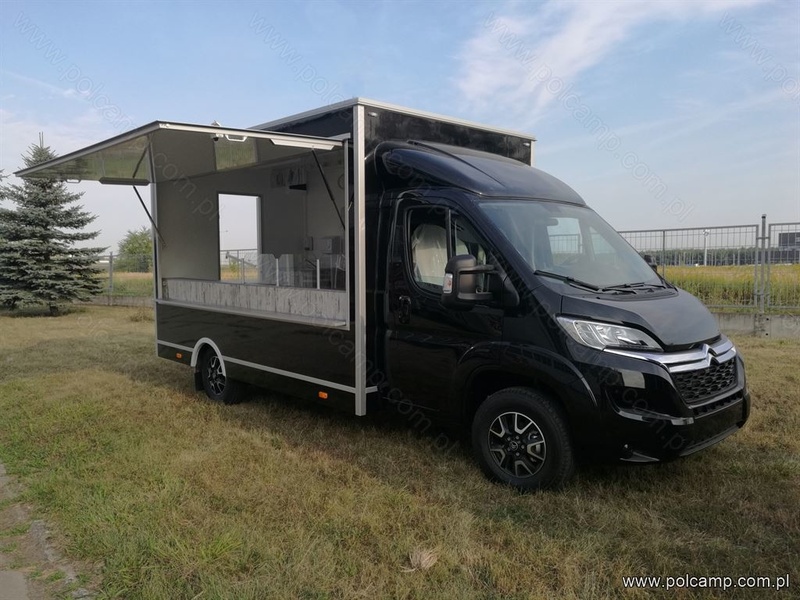 The goal of the company is to meet the needs of the customer, who decides about the purpose and end-use destination of the trailer or vehicle body. 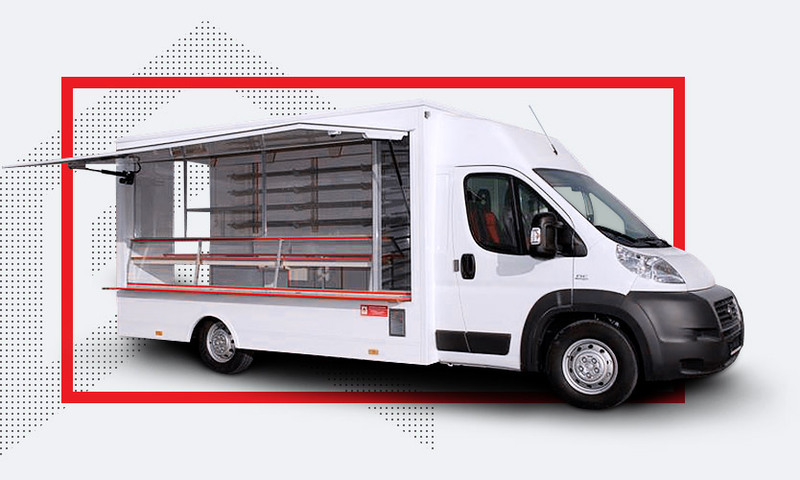 We share our knowledge and experience with our customer, we advise in selection of the right solutions. 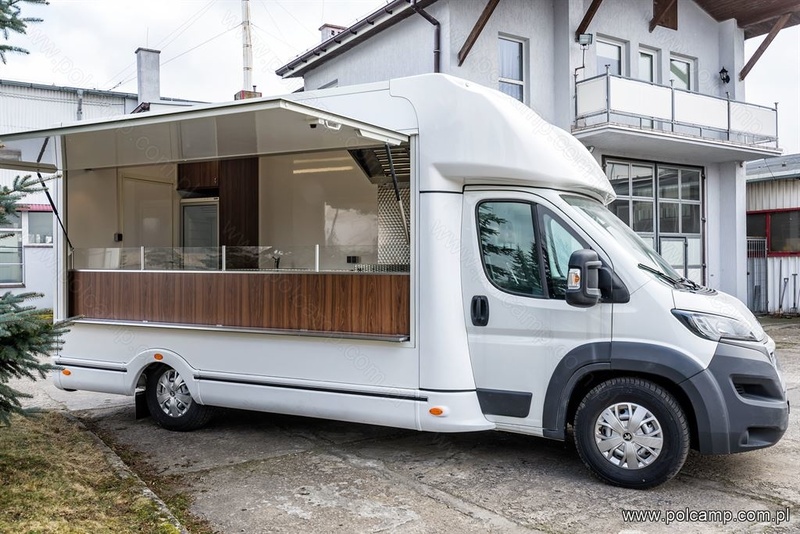 We offer a wide range of trailers and vehicle bodies for different types of commercial activities and catering. 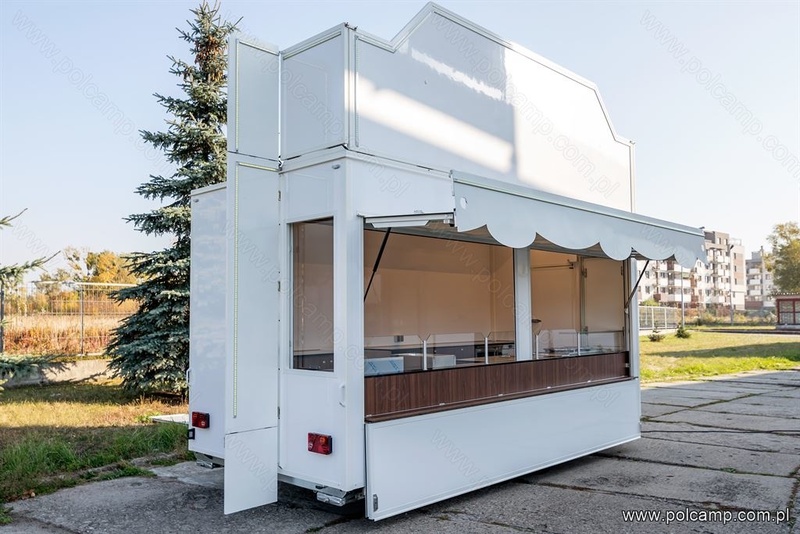 In addition, we also have experience in making stationary units, such as single and multiple section kiosks.